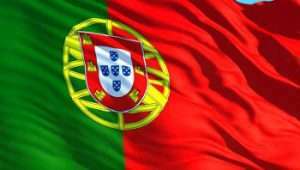 On Friday, Portugal formally published its national technical-standards framework regarding the pooling of Portuguese online poker players with those of nearby European nations Spain, France, and Italy. The publishing of the framework by Portugal’s gaming regulator, the Serviço de Regulação e Inspeção de Jogos (SRIJ), was the last legal prerequisite before Portugal’s players are allowed to join sites that are licensed by all participating nations. For the immediate future, that means that Portuguese online poker players will be able to compete against those from France and Spain on The Stars Group’s PokerStars Europe network, though other market competitors are likely to join that market soon. PokerStars is expected to accept Portuguese players — or, more technically, any verified and eligible player that has registered on pokerstars.pt (the eligible “.pt” domain) — in just a few days. The framework, published by the SRIJ as Regulation No. 115 of 2018 confirms the country’s “Legal Regime of Online Gambling and Betting” (RJO) that was first approved by Portugal’s officials last April. That governing framework was approved in general by the European Commission just a few weeks later, but it turned into a several-months-long waiting game. 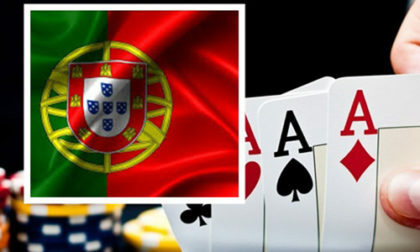 2 – players registered in the “.pt” domain and players whose accesses are established from locations located outside Portugal and registered in another domain under licenses issued in jurisdictions where online gambling and betting and shared liquidity shall be admitted in accordance with the law and / or its regulator. Though “online gambling” could encompass a large number of activities, it’s only applicable in the current sense to online poker and its player-v-player format. The franework’s formal publication is expected to breathe at least a measure of new life into the struggling Portugal online-poker market. With a population of just over 10 million, the country lacks the raw numbers to allow online poker to flourish. In that way it’s been something of a parallel to the US state of New Jersey, which should be a flourishing online poker market but has seen that niche stagnant, while other online-gambling forms have taken off. Portugal’s situation may be even worse, given the relatively high tax rates levied by the country’s government. Nonetheless, the increased access to a wider range of games and buy-ins via PokerStars Europe and other future competitors has to bode well. Beyond Portugal, there’s still no set date as to when Italy will join the firewalled-Europe poker party. Italy was part of the same four-country deal that saw France, Spain, and Portugal agree to player pooling; that country, however, has still not finalized its own plans for joining in. Italy’s online players still have access to that countries licensed “.it” sites in the meantime, however.